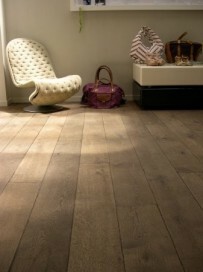 With over 350 options in oak alone, Surface Plus can offer a timber floor to suit all our client's requirements. The grading of the timber will represent the look; i.e. generally all our tropicals will be Grade A, as lower grades will have a lot colour variation. Our oaks will vary depending on the desired look; Grades C and D, which are very popular, will be more rustic with knots, sapwood and some end cracks. You can choose the grade, width of the board and finish; oiled or lacquered. 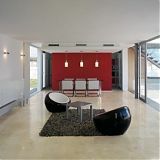 We can manufacture our floors as solid or engineered. The engineered flooring is idea for floating on top of concrete or acoustic underlays and will be suitable for underfloor heating. In addition, this will give the stability for wider planks; with widths up to 400mm.